While nattō itself contains high protein (~30g per cup) and nutrients such as calcium, potassium, and iron, the added benefit of producing nattokinase has been beneficial for improving cardiovascular health. 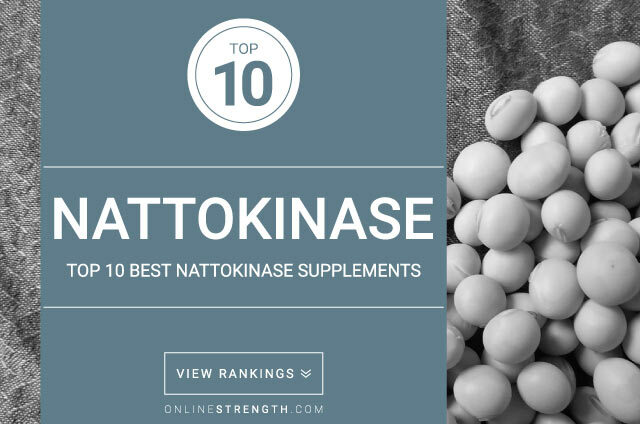 Although the name suggests kinase activity, nattokinase is actually a protease (an enzyme that breaks down proteins). Nattokinase has been shown to reduce the risk of blood clots due to its ability to degrade fibrin, a protein formed during blood clotting that impedes blood flow. Studies have found that nattokinase appears to directly break down fibrin as well as produce bioactive metabolites that enhance its anti-thrombotic effects. Preliminary research has also shown that nattokinase can help reduce blood pressure both by reducing blood clotting and through inhibiting angiotensin converting enzyme (ACE). There is also potential for nattokinase to aid in the prevention/improvement of Alzheimer’s disease by helping break down the beta amyloid fibrils that contribute to neuron degradation. Since nattokinase degrades proteins associated with blood clotting, it may have a role in thinning the blood and should therefore not be combined with other blood thinning drugs like Aspirin or Warfarin. While this dose has been used in most studies, research has yet to confirm an optimal dosage for oral nattokinase supplements. If taking Nattō, some anti-thrombolytic effects have been shown at 12g taken daily over the course of two weeks.